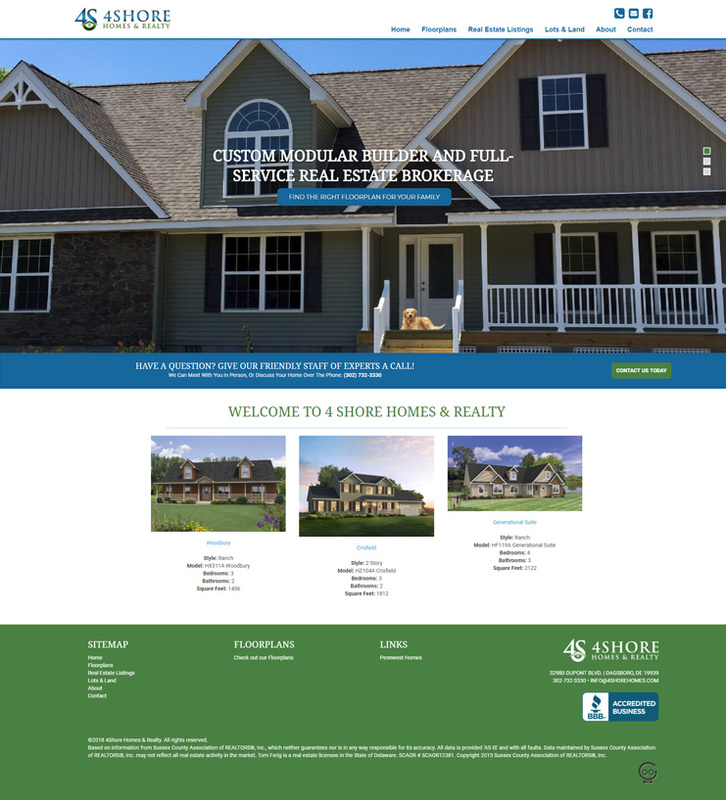 A classy new site for a local home builder. Create a professional new website to display their various home floor plans and real estate listings. Techno Goober created a custom website that expertly displays all of 4Shore Homes' floor plans and real estate listings without any hiccups.